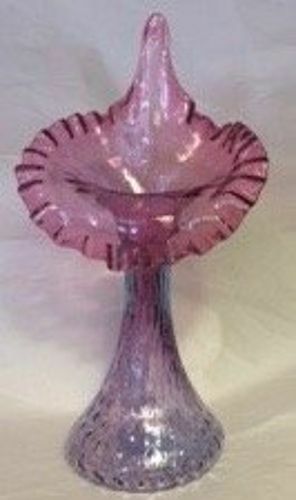 Fenton made this Lilly of the Valley Covered Candy in the Champagne Opalescent color in the early 2000's. 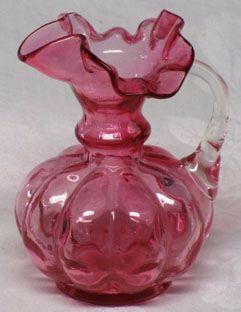 It measures 9.5" tall and is 6" wide. 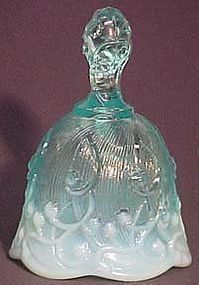 Fenton made Lincoln Inn from 1928-1937. These 12 oz. 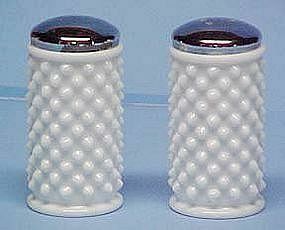 tumblers are in mint condition. Five are available. 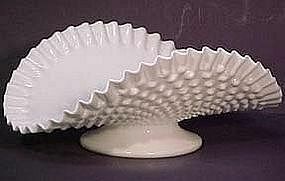 Fenton milkglass banana bowl (hobnail) was produced in 1967. 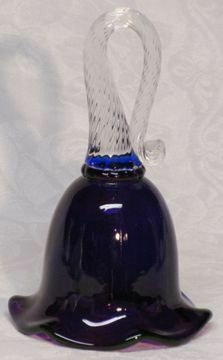 It measures 12" long and is 5" high and in excellent condition. 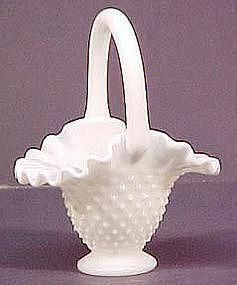 Fenton Milkglass Hobnail Shakers -- these are the large kitchen ones, 4" tall. Some roughage on the caps, a little of the chrome is missing. Otherwise in very good condition -- no chips. Dated around the late 1950's. 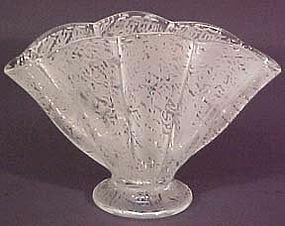 Fenton made the etching "Ming" in the 1930's. 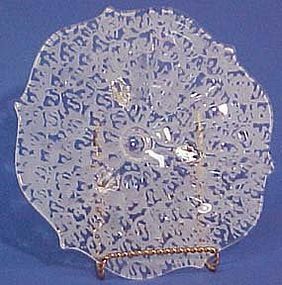 This 3-toed 8" plate is in mint condition. 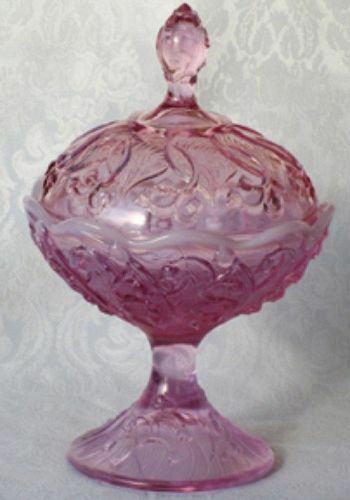 Fenton produced the Ming etching from 1935-39. 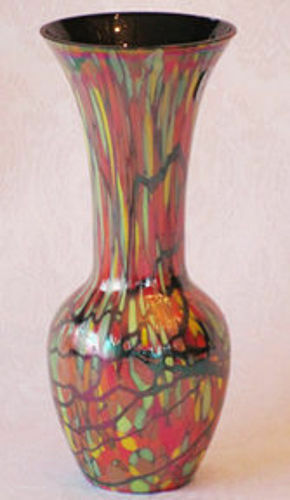 This 8" tall, 10.5" wide vase is in mint condition. Fenton Ming Etched Tumblers are 5.5 oz., 3.75" tall. Six are available and all in mint condition. (The blank is called Franklin.) Pricing is for all 6 tumblers. 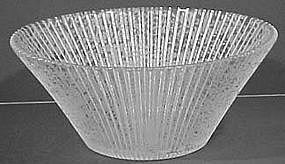 Fenton Ming etched Salad Bowl is 4.5" high and 10.5" wide at the top of the Sheffield molded bowl. 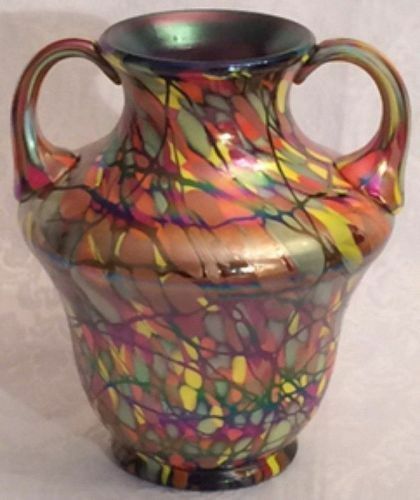 It is in perfect condition, and was produced in 1935 and 1936. 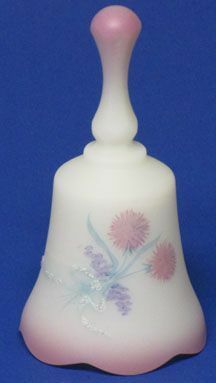 Fenton's milkglass was made from 1952. This 6" mini basket is in excellent condition. 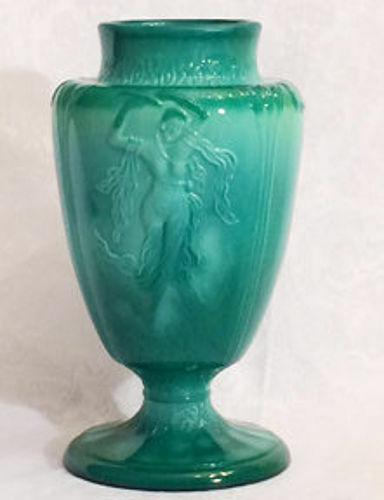 Produced in the 1930's, this Fenton Mongolian Green Dancing Ladies 9" Vase is in mint condition. The Dancing Lady is reputably the image of Isadora Duncan, a modern dancer of the 1920's.